Join Balanced Body at SCW in 2016! Balanced Body is excited to be returning to SCW Mania® Fitness Pro Conventions this year. We hope you’ll come see us! It’s a 3-day fitness education convention held at eight locations around the US each year. Each offers over 200 sessions on a wide selection of fitness topics. Balanced Body will present at all 2016 locations (see schedule on this page). Lots to choose from! Each 90-minute session is taught by one of our always-fabulous Balanced Body master instructors: Portia Page, Erika Quest, Joy Karley, Valentin and Nico Gonzalez. 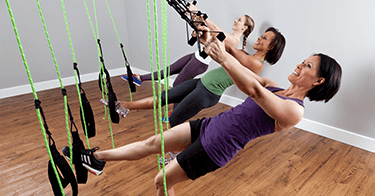 Balanced Body Fit: Creating Circuits for Anyone! Balanced Body MOTR: Get your MOTR Running! Where will we be? Find a location near you. Save on equipment for sale! MOTR®, Balanced Body Barres, SmartBell®, Bodhi Suspension System® and more will be available at each show, at discounts up to 15%. You also save on shipping when you take it with you. Quantities are limited. See what’s for sale and reserve now!